Tinnitus is a buzzing, ringing, hissing or clicking noise in one or both of your ears. Sometimes tinnitus is temporary – for example after one leaves a loud concert, however, it is often are more permanent issue. For some people, this ringing or buzzing is simply a bit annoying, whereby for others it can be a major issue that impacts their mood, productivity and/or sleep quality. There are rare cases where tinnitus is caused by blood vessel issues or a middle ear condition that your audiologist will be able to hear when they do an examination of your ears. This type of tinnitus is called “objective”. For the vast majority of tinnitus sufferers, the noise is phantom – meaning no one else can hear it. This much more common type of tinnitus is labeled “subjective”. 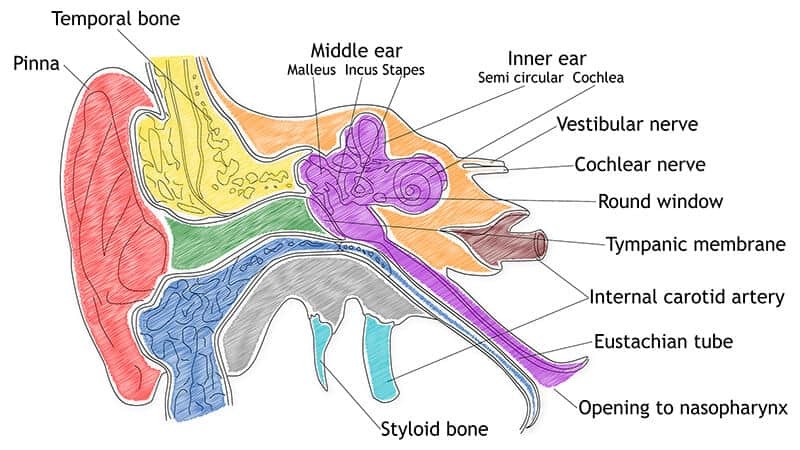 For both objective and subjective tinnitus, the noise one hears is actually a symptom of another underlying medical issue – rather than a stand-alone medical concern. Some underlying medical issues that could cause tinnitus are earwax blockage, TMJ, or Meniere’s disease – although these are rather uncommon. Hearing loss – either do to natural aging or noise exposure, account for a whopping 90% of people suffering from tinnitus. Chances are, if you are experiencing tinnitus, you also have a hearing loss. Unfortunately, there is not currently a cure for tinnitus – although there are quite a few treatment options that have been successful for many people. In order to effectively rule out other possible underlying medical conditions, you will need to undergo a full and comprehensive assessment to help us determine the cause of your tinnitus, and therefore develop an individualized treatment plan with you. Below are some treatment options that may work for you. If you have hearing loss that can be treated with hearing aids, there are many powerful and successful tinnitus treatment therapies built into hearing aids. Oticon uses their Tinnitus SoundSupport™ to help relieve tinnitus with sound. SoundSupport is integrated into all of their Opn hearing aids as well as many of their other series as well. With SoundSupport, users can choose from a wide range of customizable tinnitus relief sounds – including calming ocean sounds and “white”, “pink” or “red” noise – whichever suits users best. 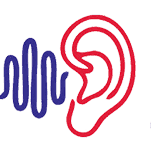 Oticon also includes a tinnitus package, which includes counseling support, user guides, and educational tools to help on the tinnitus relief journey. Phonak aims to relieve tinnitus using a full profile of support including tinnitus balance hearing aids, a broadband noise generator, a sound therapy app, and a digital wireless streaming device. Users can utilize just one or all four of these support systems, or any combination of two or three to best tackle their unique tinnitus profile. These are not the only manufacturers that offer comprehensive tinnitus relief therapies and technologies. Most manufacturers offer direct support for people who experience tinnitus. For those who do not have hearing loss that can be treated with hearing aids but still suffer tinnitus, there are also treatment options for you. We offer a comprehensive and successful tinnitus retraining therapy program, which combines counseling and sound therapy to help alter and lessen the way your brain perceives tinnitus. White noise machines or apps can be purchased to help drown out and mask tinnitus sounds, or cognitive behavioral therapy has worked to help people break negative thinking patterns that cause an emotional response to tinnitus.